One thing I am enjoying about sculpting wood is how totally absorbing it can be, engaging the imagination, aesthetic sensitivities, knowledge of the properties of wood and manual craftiness. On a tip from a friend that she had seen some downed wild cherry trees near a campground in our local forest, I gathered a truckload of cherry trunks. I’d never worked with cherry before, so I came up with the idea to make a kind of totem pole with one piece that would give me a chance to explore its qualities. Elemental Totem features a round globe representing Earth; Water pours downward from the bottom of Earth, while Fire erupts upward, reaching into the sky. 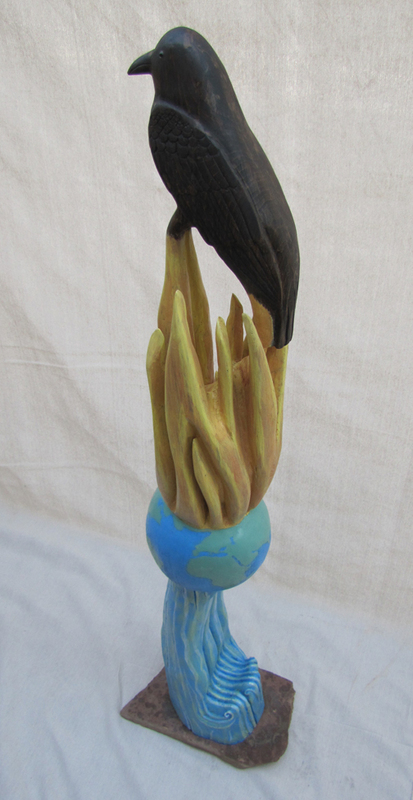 Perched on the flames is a life-sized raven, representing Air. I used stains to give these features a more realistic appearance. The inspiration for my next piece again came from my research of prehistory. Some of the earliest recorded writing is found on clay tablets dating from ancient Sumeria in Southwest Asia. These tablets described many tales that relate to human origins, including how our species was fashioned by gods who needed help with some of their work. One prominent god described was Enki, and he was pictured on several of the tablets with some distinctive features, including a unique helmet-like head piece. 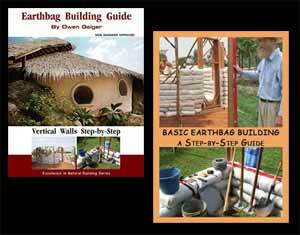 These larger than life gods had particular roles they played, and Enki was the master of water, in all of its forms. On the tablets he was often pictured with water and fish flowing from his shoulders. Lord Enki is my version of this ancient god, who is also regarded as a precursor to Yahweh, the scriptural Christian God. My bust is supported by branches representing water, carved with swimming fish. 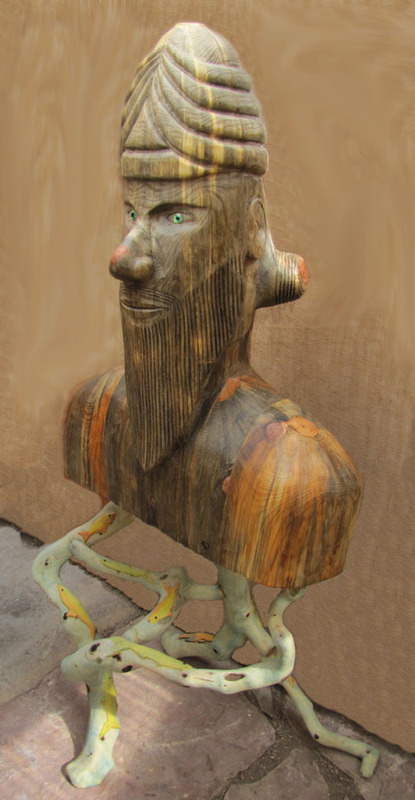 Lord Enki stands about 6 feet high and is carved from blue-stained, beetle-killed Ponderosa pine. Absolutely stunning! Have never carved anything aside from whittling sticks and bars of soap as a kid, but I can imagine how engaging it can become. These pieces are fantastic. Right on nice presentation, great work!